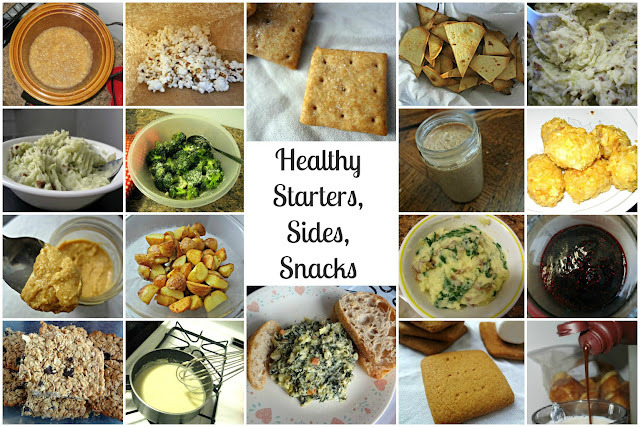 The Cooking Actress: Healthy Recipes to Start 2013 Right! 2013 is here! Can you believe it? It's like WE'RE LIVING IN THE FUTURE! Do you make resolutions? I don't really, but I do want to, like I'm sure many of you, lose some weight. 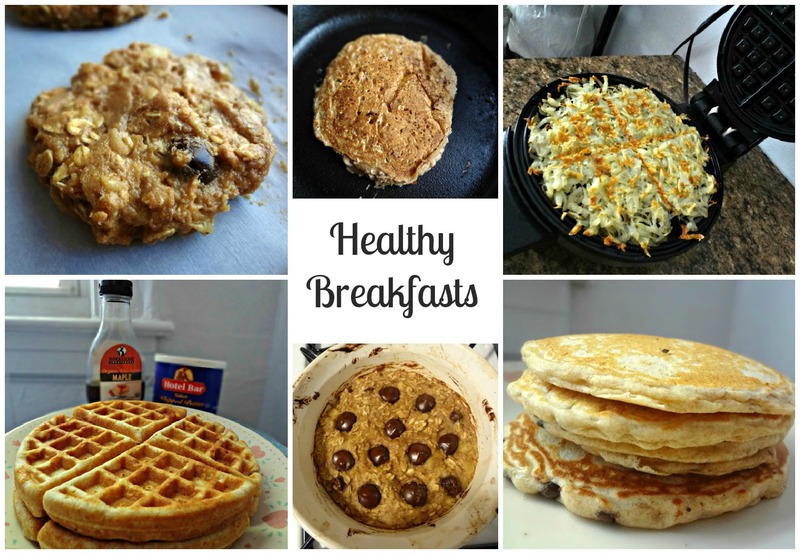 When I saw my cousin, Lindsey, request clean eating recipes for the blog, I thought it would be a fabulous idea to do a round up of the some of the healthy/healthier recipes on here! 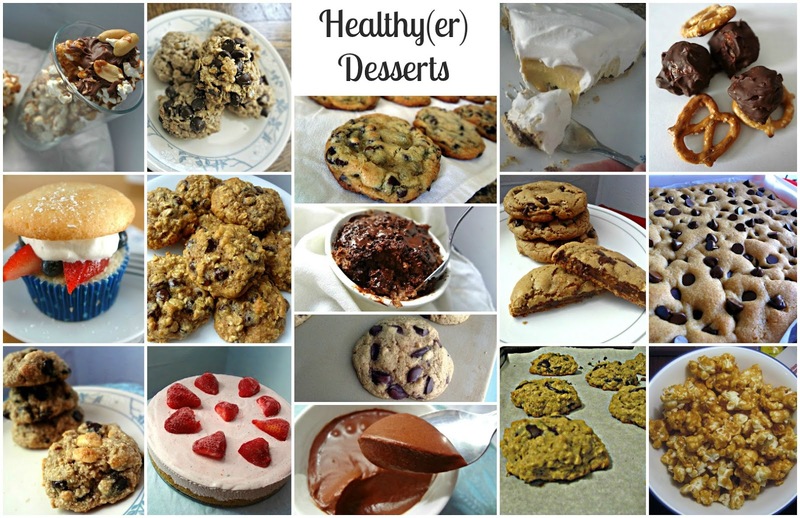 Some of these recipes are not so much healthy but they are from-scratch versions of the processed gunk that many of us use regularly. I firmly believe in eating food that tastes great, but is homemade and real. I hope you guys find some new favorite recipes here, and I'll keep trying to supply you with more! Sugar free, low fat, and full of good stuff! Cookies...for breakfast! oil (or canola oil if you prefer). Vegan, gluten free, fat free, sugar free, and soy free-and this oatmeal tastes like a cookie!!! No more frozen, fried, processed hash browns! These are crispy, quick, easy, and use only potatoes! moist, and much healthier than conventional! Serve these with fresh fruit or peanut butter. Homemade applesauce that you make in the crockpot is super easy and tastes so much amazing! little butter, and Parmesan cheese. Potatoes & olive oil. That's it. That's all you need to make this soft and buttery and easy side dish! Tasty, buttery, homemade crackers! I love to spread homemade pb on these for a snack! the veggies and seasonings, light on the fat. Quick, crispy, yummy tortilla chips, that aren't fried and soaked in salt and oil! Almonds are even better for you than peanuts. Making almond butter is just as easy as making pb. Flavorful garlic mashed potatoes with fiber from the potato skins, & the nutrients of kale! OK, these aren't exactly healthy. But they're much better than the processed kind you buy. Like the other potatoes, it's more like these just aren't bad for you. And they're garlic-licious! kind! You just need potatoes, pop chips, some milk and flour, an oven and you're in business! Homemade jam made with real fruit. chocolate milk, do yourself a favor and whip up some of this stuff to use for it! Simple, easy, unprocessed tortillas that you can use in countless ways! Fluffy whole wheat bread with a delicious cinnamon swirl in the middle. Hearty, delicate biscuits made with 100% whole wheat flour! Comforting cornbread made with actual corn and whole wheat flour. The perfect bread for french toast, made healthier with whole wheat flour. AP flour countless times, and I encourage you to do the same, until it is to your liking! 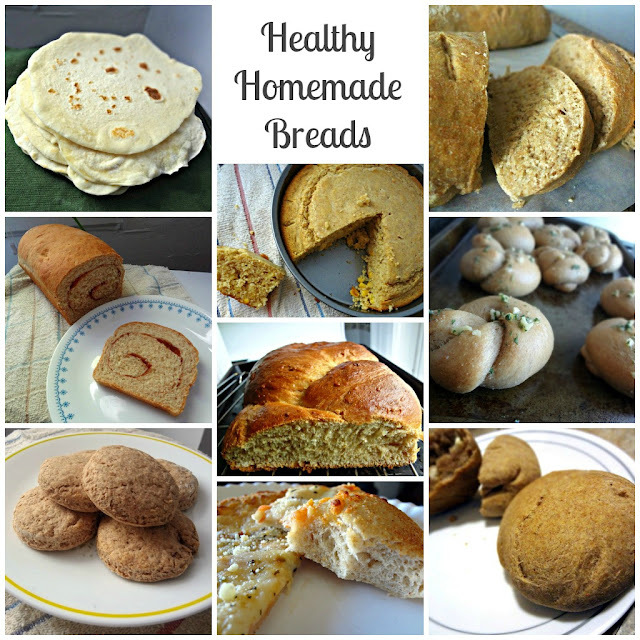 Making whole wheat bread can be so quick and easy! You get the idea, whole wheat flour is better for ya! Crisp and juicy chicken nuggets, with the smoky flavor of asiago, and baked, not fried. If you use whole wheat linguine this simple dish can be quite healthy. Homemade pizza can be extremely nutritious and delicious! To me, this really does taste like the classic fried chicken I love-but it's not! Throw in some chicken and veggies and chicken broth and/or wine and let it cook! Easy peasy! broth, & a lil bit of cheese and milk! It's like mac&cheese meets chicken noodle soup...but healthier! spinach, chicken, sauce, and a little bit of cheese. Yepp...another baked, faux fried, chicken recipe. They're a great staple! This baked chicken dish uses olive oil and garlic to adhere the breadcrumbs and parmesan...mmm. Flavorful chicken and herbs (etc.) baked in parchment paper. This recipe is courtesy of "Eat This, Not That" as a better version of chicken fingers. And this recipe is from the show "Cook Yourself Thin"-use healthy cornflakes for the crunch! Having a bunch of this caramel corn is better for you than having 1 little snickers bar. Do the math. My girl Kristina whipped (haha...get it?!) these up so you know they're healthy! Gluten free cookies made with healthier for you stuff like oatmeal flour, nuts, etc. Another gluten free cookie, I highly suggest you use homemade almond butter in these! Whole wheat flour, oats, & applesauce are a few of the things use to healthify these classic treats. It's the fruit and Greek yogurt that make this sorta-kinda cheesecake dessert not so bad. Perfect, classic chocolate chip cookies made with healthy coconut oil instead of butter. then just dark chocolate and cocoa powder give it that chocolatey flavor. Peanut butter takes the place of butter in these cookies! This decadent tasting dessert contains only dark chocolate, water, and a small amount of sugar. Ok...this one is more low-cal than healthy. But it tastes so amazing! Whole wheat and peanut butter lend a healthier twist to this chewygooey cookie! I found this recipe on a diabetic friendly site, so they're low in sugar and pretty wholesome. anti-oxidant rich dark chocolate & you have some of the best little morsels of goodness ever! Whole wheat flour and oil (instead of butter) make these extremely gooey cookie bars healthier! As far as desserts go, the light, low-cal nature of popcorn makes caramel corn a decent option. 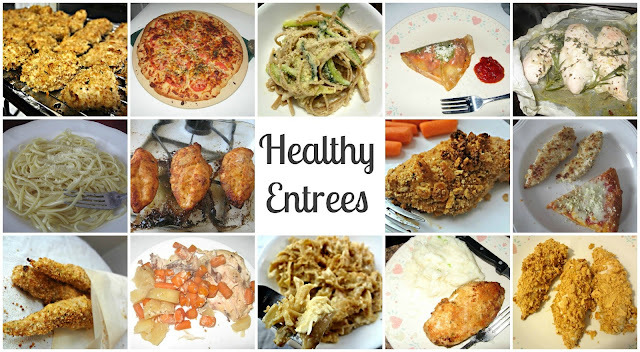 Want more healthy recipe options?